Hi everyone!!!! I hope that everyone is having a wonderful February. Studying for my board is t-minus one week away and my gosh I am so nervous! 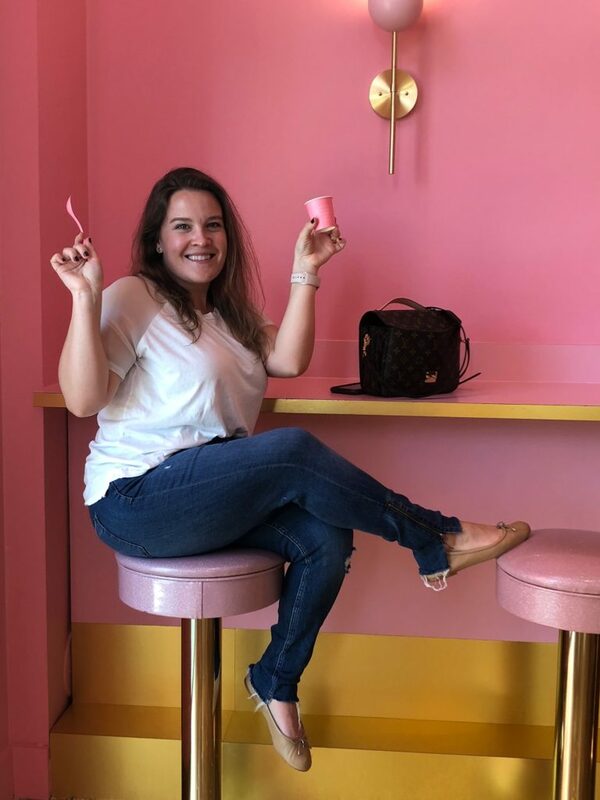 Even with studying I couldn’t help but round up some of my absolute favorite and just about some of the most adorable items that any gal would be so excited to receive (or hello! just treat yourself to any of them!!) All can be found online and shipped before Valentine’s day!! 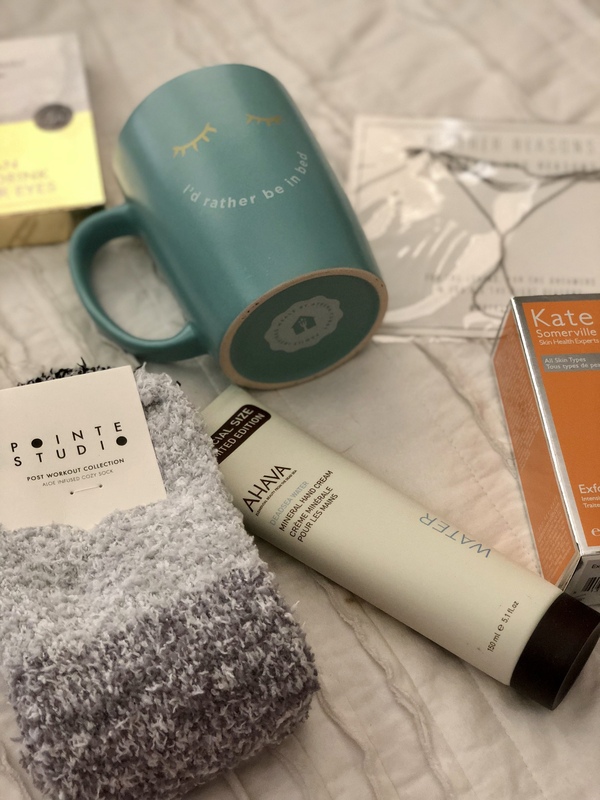 I hope you all enjoy and that you find some inspiration in my favorite goodies. Hi everyone! I hope you all are enjoying this holiday season and like myself and scrambling for last minute gifts. 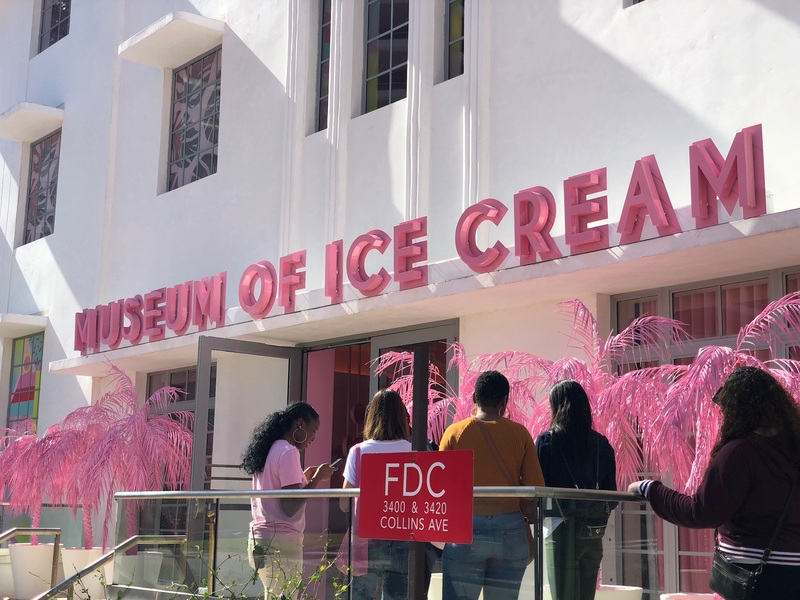 This weekend I took some time off from the malls and online shopping and visited the new Ice Cream Museum in Miami. 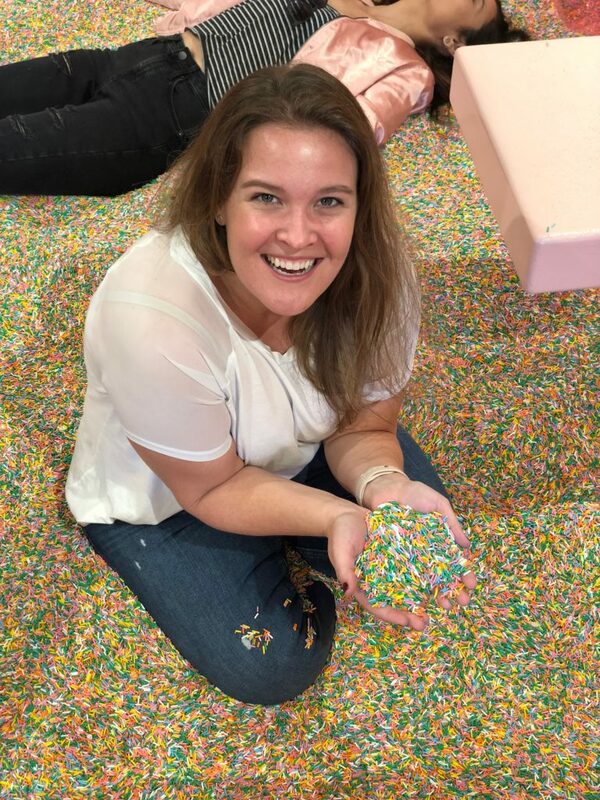 It was just as pink, sparkly and filled with sprinkles as I could have imagined. 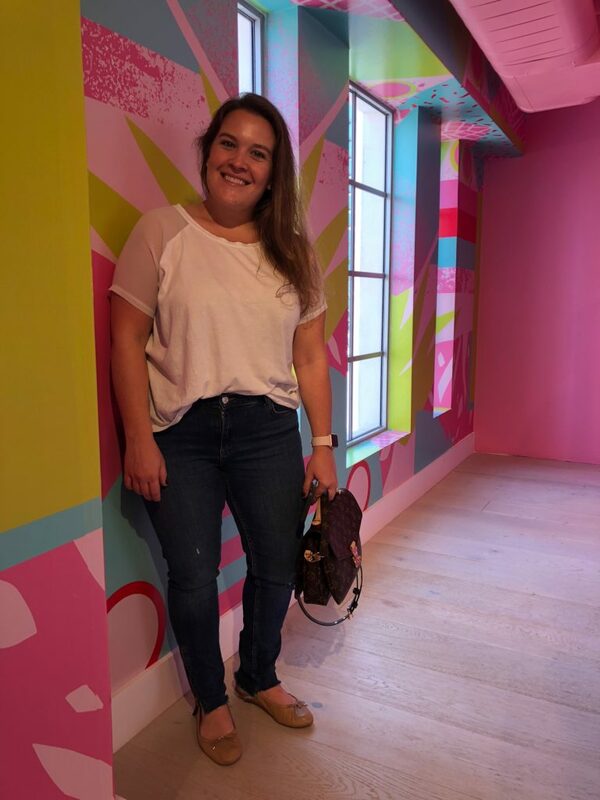 Each room is inspired by a delightfully sweet treat and many of the rooms also had some little indulgences for everyone to enjoy! 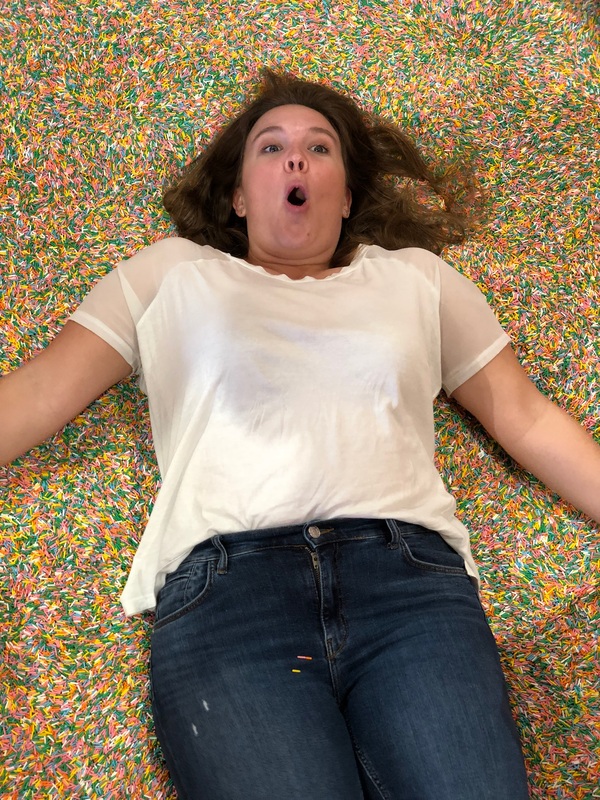 I think like many people one of my favorite rooms was the pool filled with sprinkles which if you can see by my face was such a childhood dream come true. 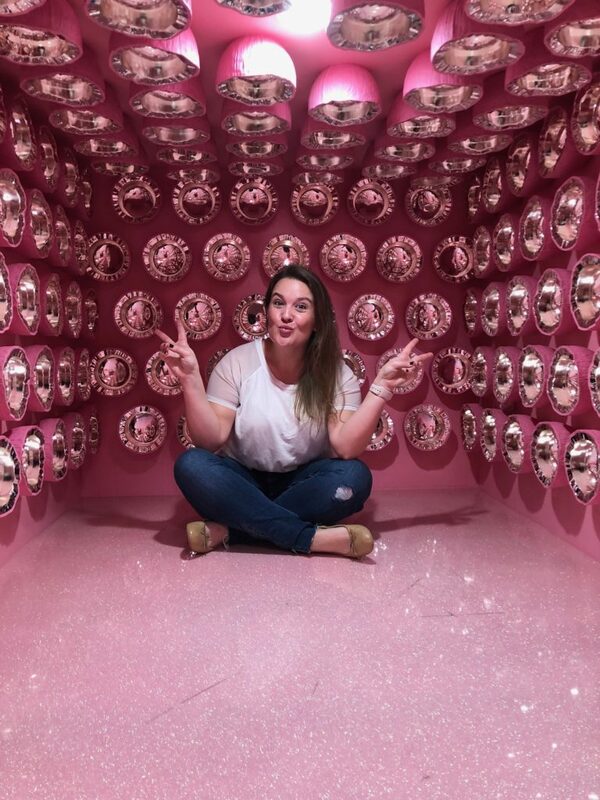 I honestly think I could have spent all day there just enjoying all the amazng detials tha were put into this pink palace. If you are in the Miami area or tavling here I woul definatly reccomende checking ti out if you can. 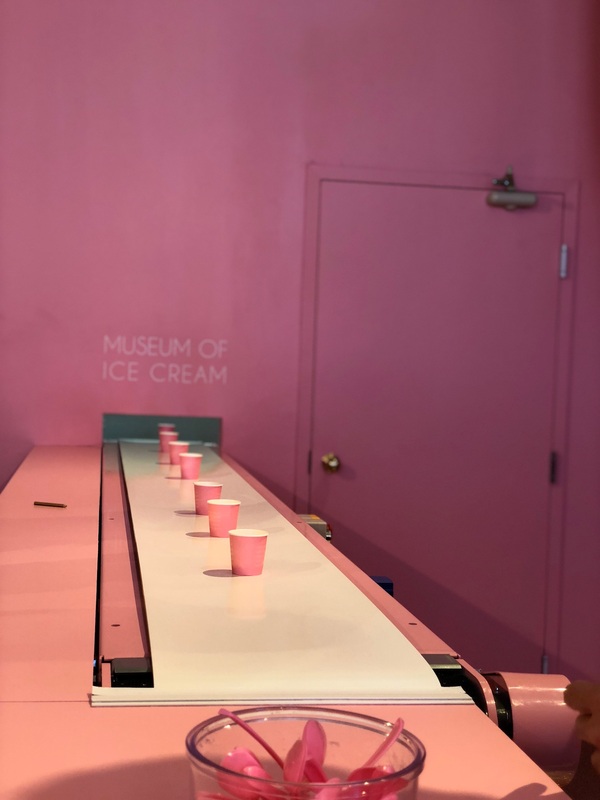 I am loving seeing everyone pictures from their visit and if you want to go make sure you grab your tickets on their website. Long time no talk everyone! 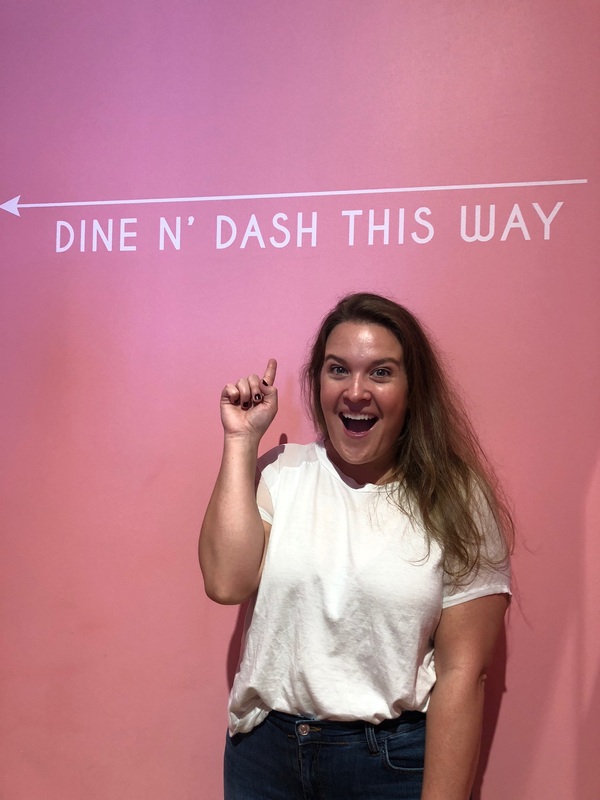 As some of you may know if you follow me on Instagram my nursing school journey is over! Ahhhhhh!!! I cannot even believe it honestly, all the late nights studying, missed girl nights have all paid off and I am soon going to be graduating. 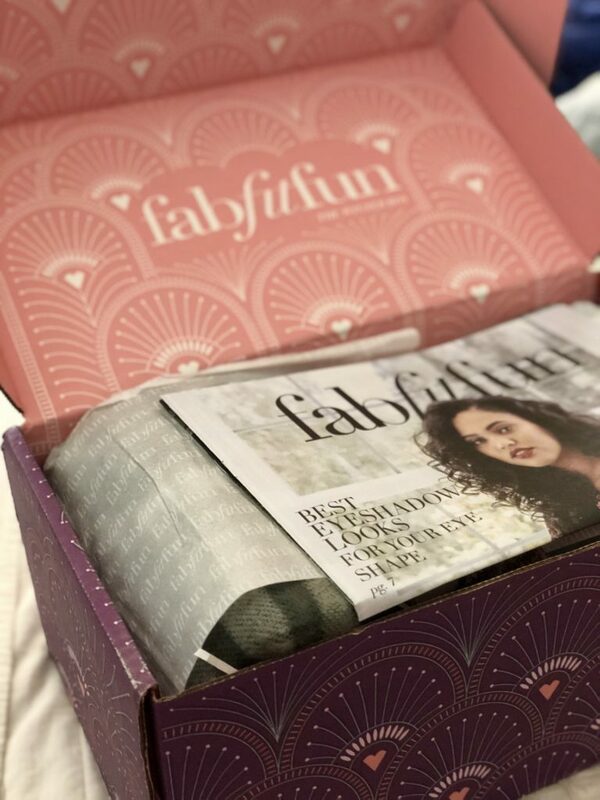 In celebration of that and welcome the holiday season, I am delighted to share with you my first ever Fab Fit Fun box! I am sure most of you like me have seen these all over social media and they always look so stinking fabulous. Well, after seeing a sneak peek for this year’s winter box I decided to take the plunge. 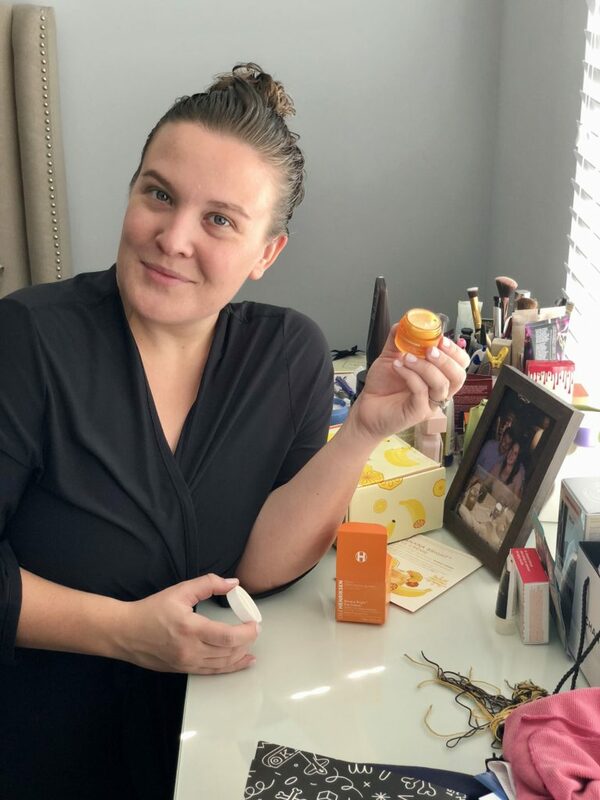 What initially drew me in was the Kate Sommerville Exfolikate cleanser which is a cult classic and a tube of heaven that I am obsessed with! If you haven’t ever tried this stuff you are missing out. 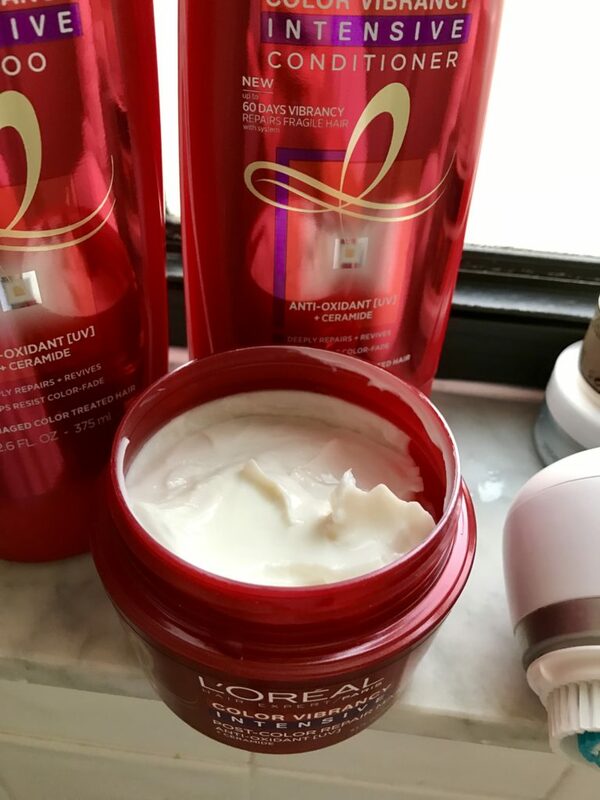 It a powerhouse exfoliator that in two minutes time leaves your skin glowy and refreshed. 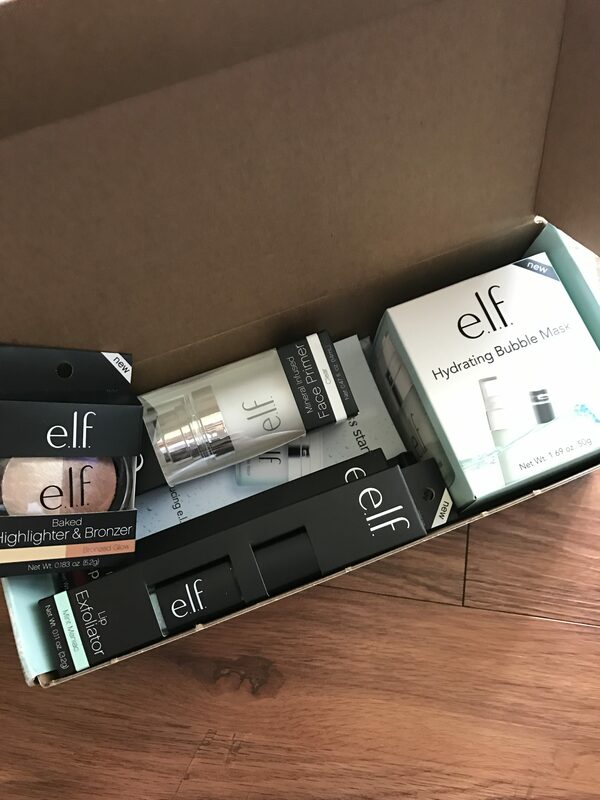 The other items in the box I left as a complete surprise and I am so excited to try all of these goodies! 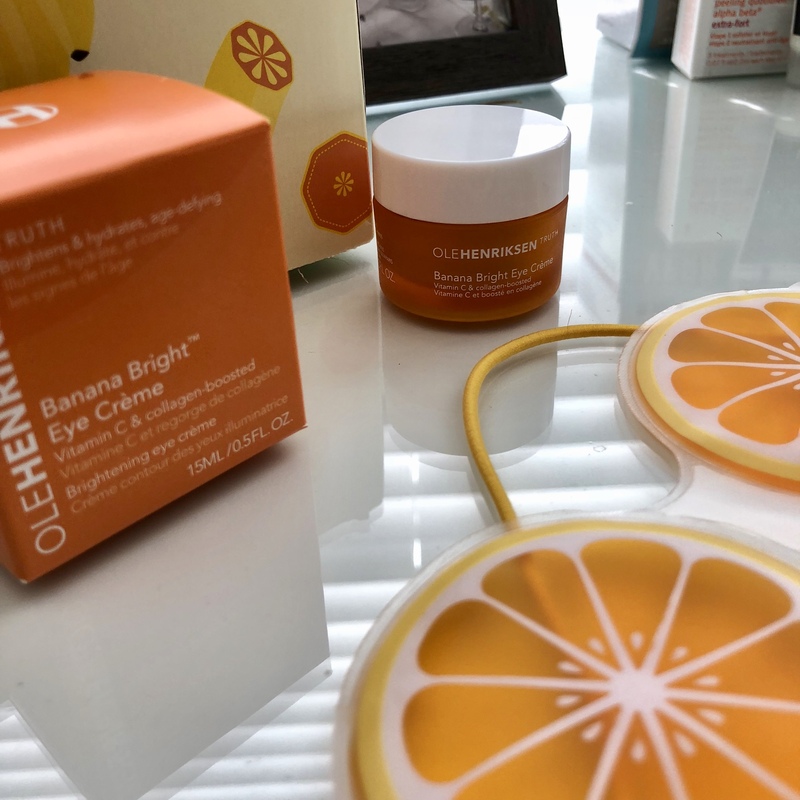 What I am most excited about are these eye-patches from Grace + Stella that are good for anti-aging and making your under eye look refreshed and youthful (which after two years of nursing school I could really use). 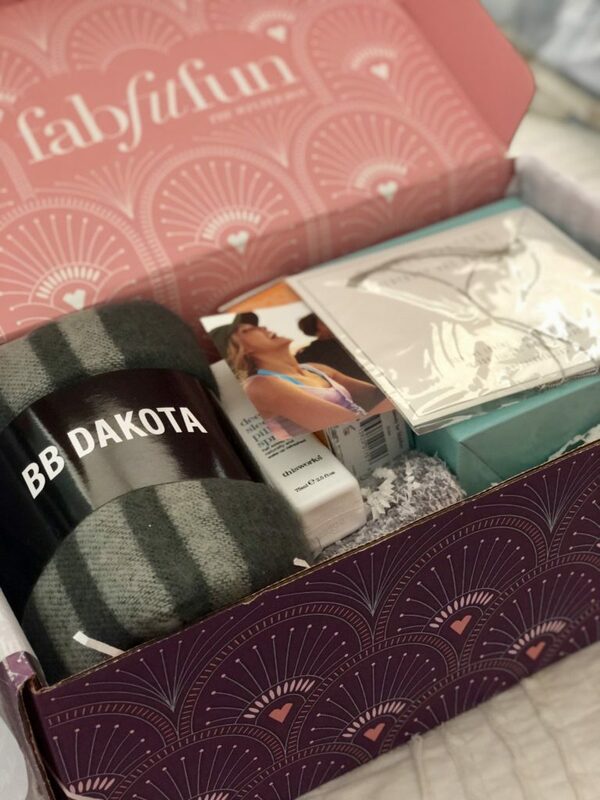 Also, the item from BB Dakota is an adorable cape that you can get your hands on right here! 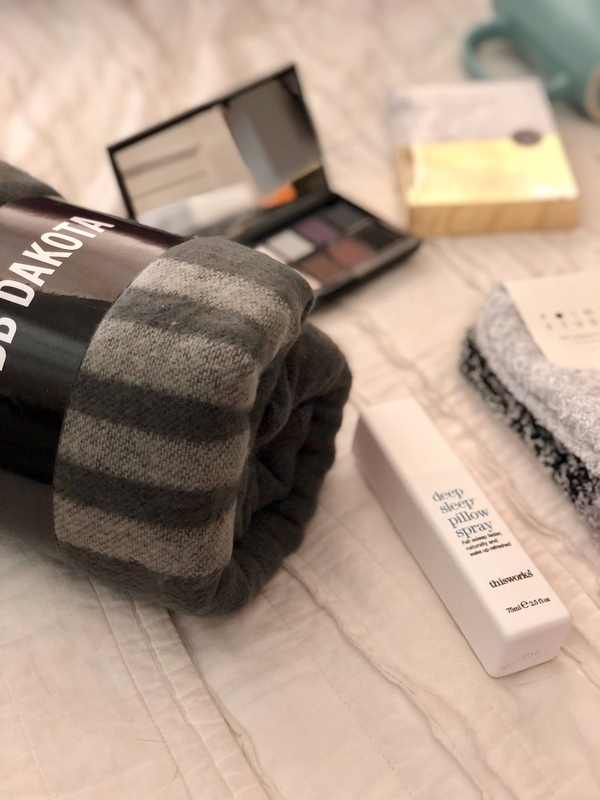 which is so perfect for this holiday season! I hope you all enjoyed and I cannot wait to officially be done with this chapter and move to the next! talk to you all soon!!!! I like many people find myself wandering around Sephora just about every time I am at the mall. On this recent trip I was killing time and a sales associate asked if I was needing any help finding something and just simply said I was wandering with no particular direction. 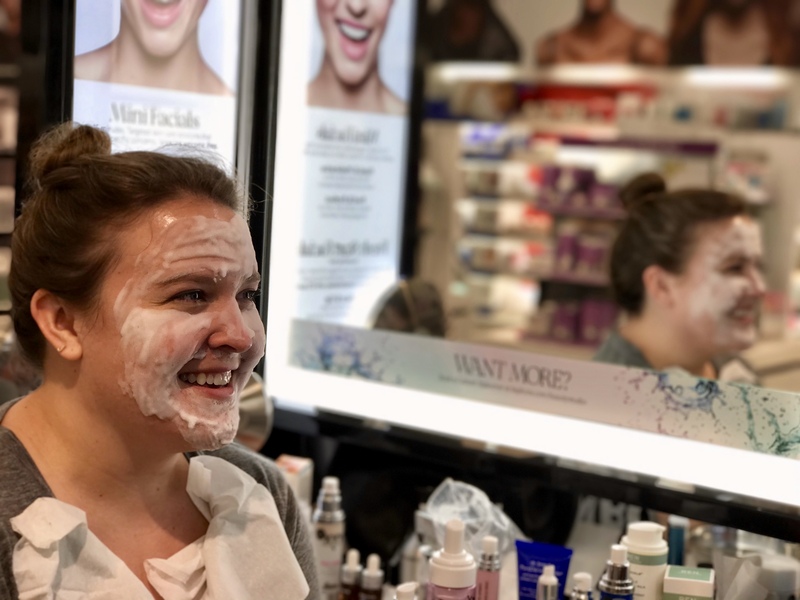 She then asked if I would be interested in an in house mini facial with the people from Dr. Brandt……I honestly don’t think I could have said yes faster . 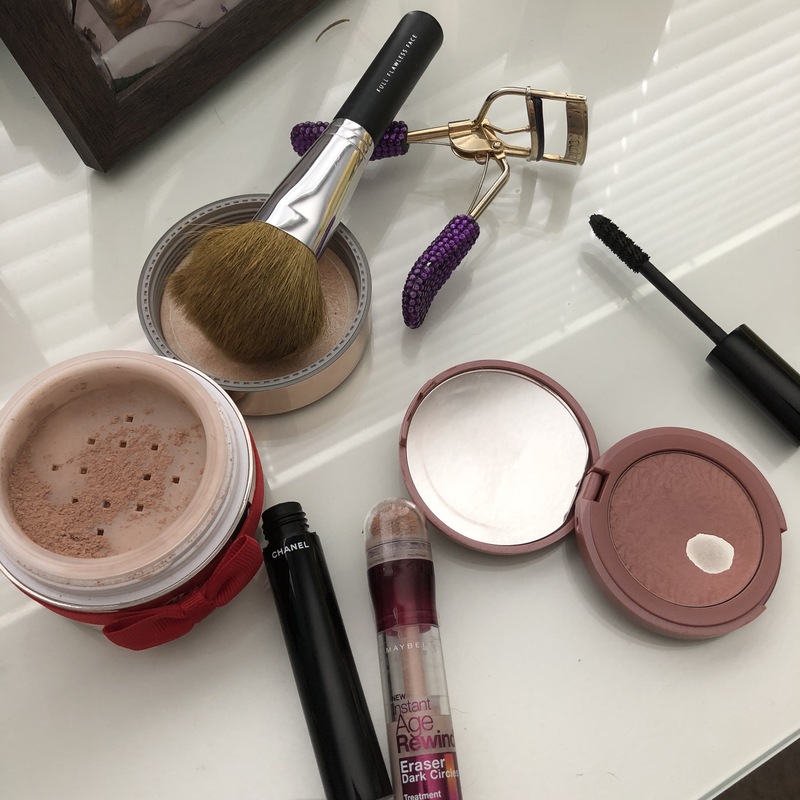 The girl who worked for them did such a great job at asking about my skin and then providing recommendations and demonstrations using all of them. 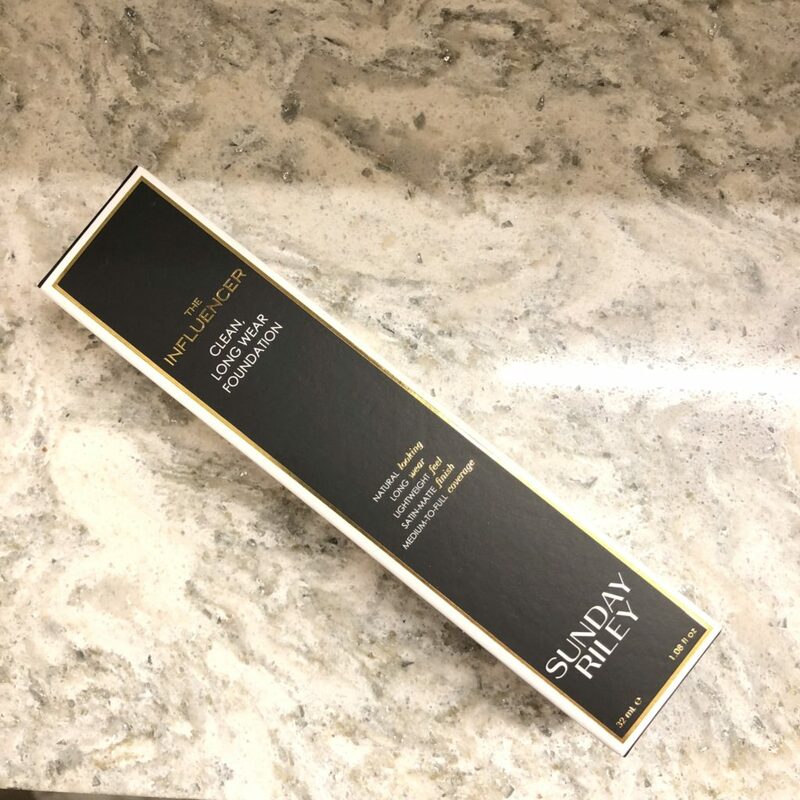 She started off using the Xtend Your Youth A3 Power Foaming Cleanser which not only took off my makeup and gently pumped my skin with antioxidants. She then followed it up with using the Oxygen Facial Flash Recovery Mask which honestly had to be one of my absolute favorite products I have ever tried. It is a quick 5 minute facial that bubbles up as you apply it to your skin. 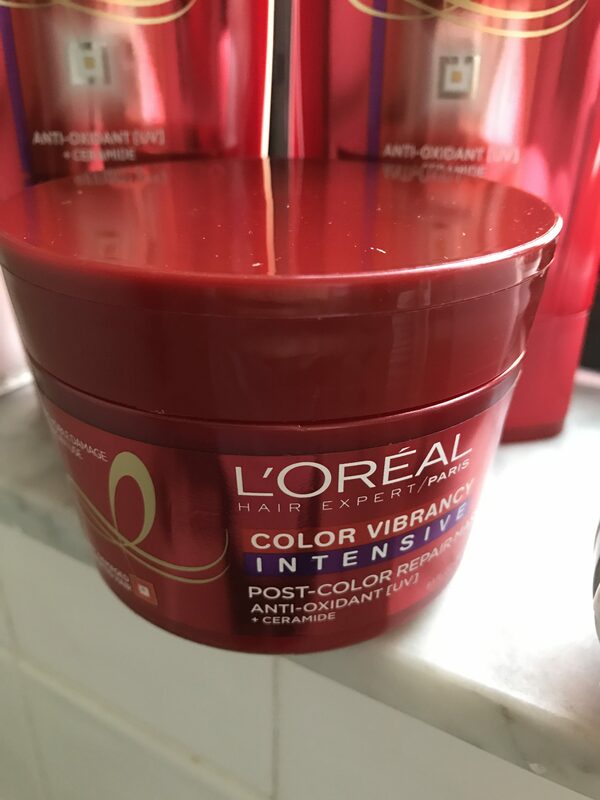 This mask rejuvenates your skin and boosts its luminosity giving your skin an instant glow which who doesn’t love. On a side note how funny do I look with it on my face! I look like a snowman hahah! 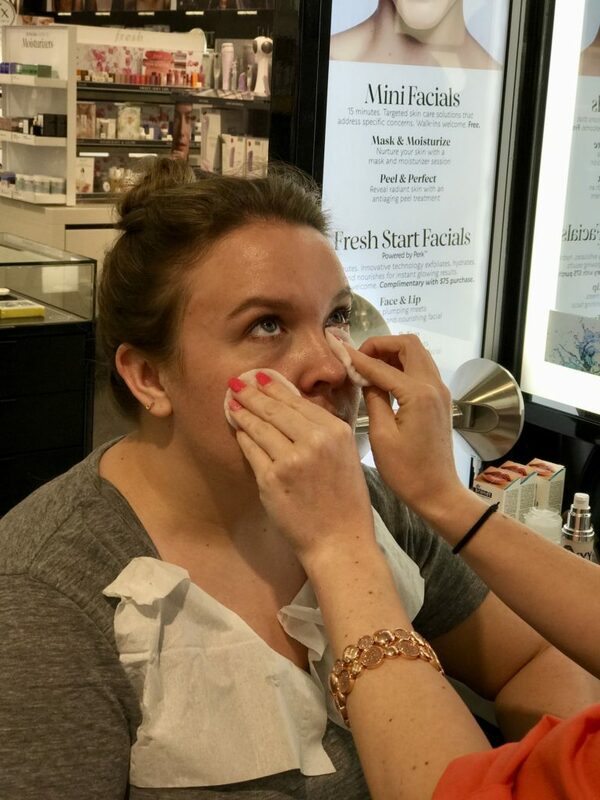 She then used the Dark Circles Away Collagen Eye Serum which in an instant made my tired nursing school eyes look as if I had slept for 12 hours. 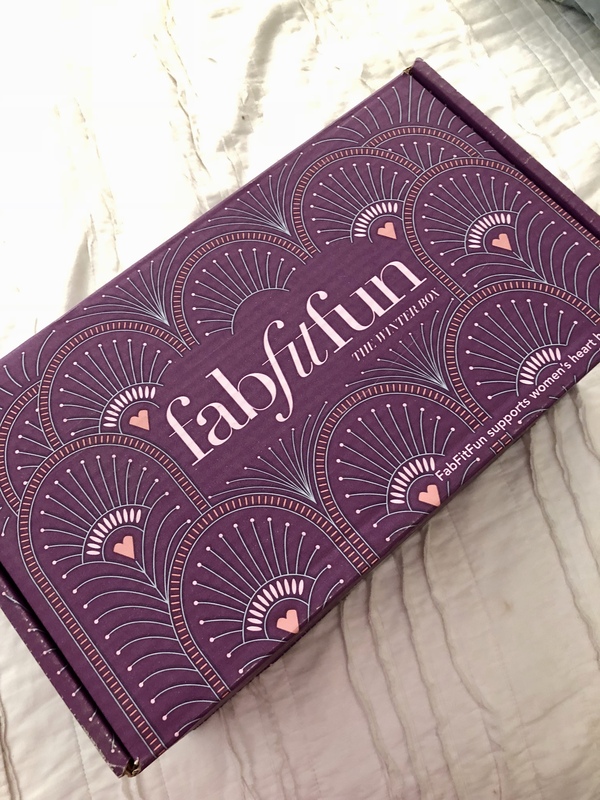 It has this really great roller ball that gently glides on the product and gives it a nice cooling effect which helps depuff your under eyes. 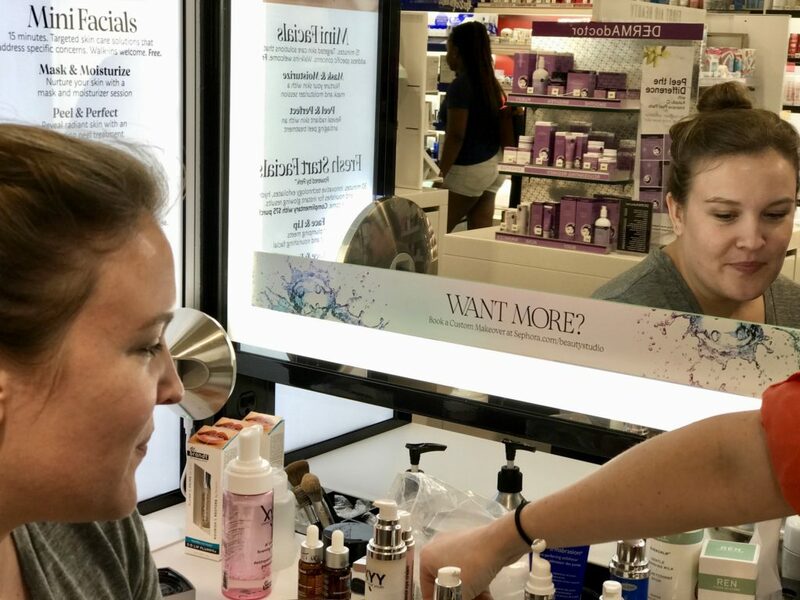 To top off the mini facial she wanted to replenish some moisture back into my skin but using the Xtend Your Youth Face Cream that is packed with antioxidants to protect your skin from free radicals. 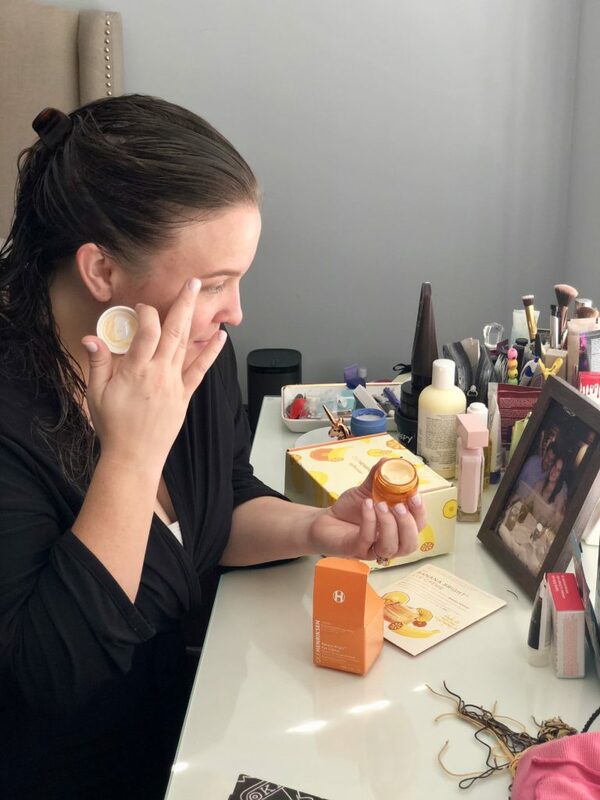 To balance out some of the redness in my skin she grabbed a bit of the Pores no more pore refiner primer which truly was all I needed. It was so incredibly light on my skin and made it look so natural and glowy. What I really loved about this product it that it contains tea tree oil which is a natural anti-bactrial agent for your skin! 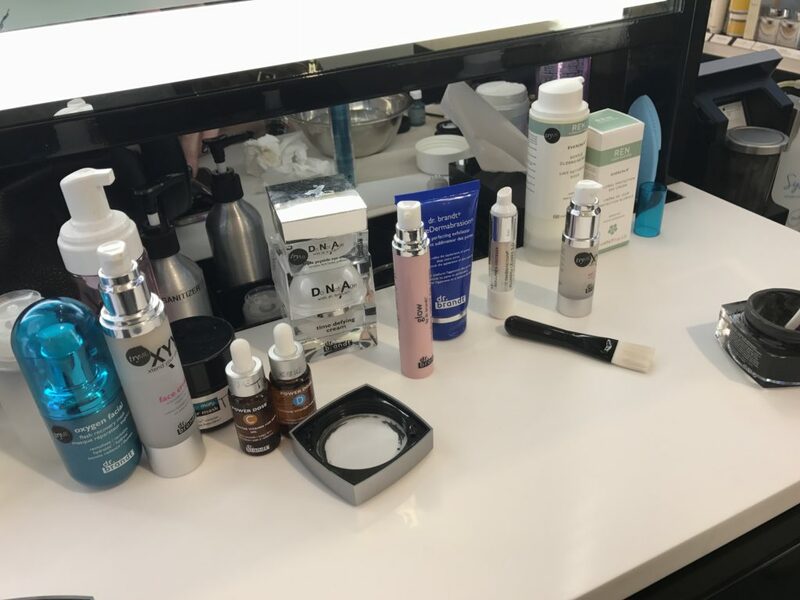 I can’t thank the wonderful people from Dr. Brandt for doing this and showing me all of these amazing products, it truly was the cherry on top of a wonderful day. Hi everyone! My name is Kat and I am a lifelong friend of Val’s. 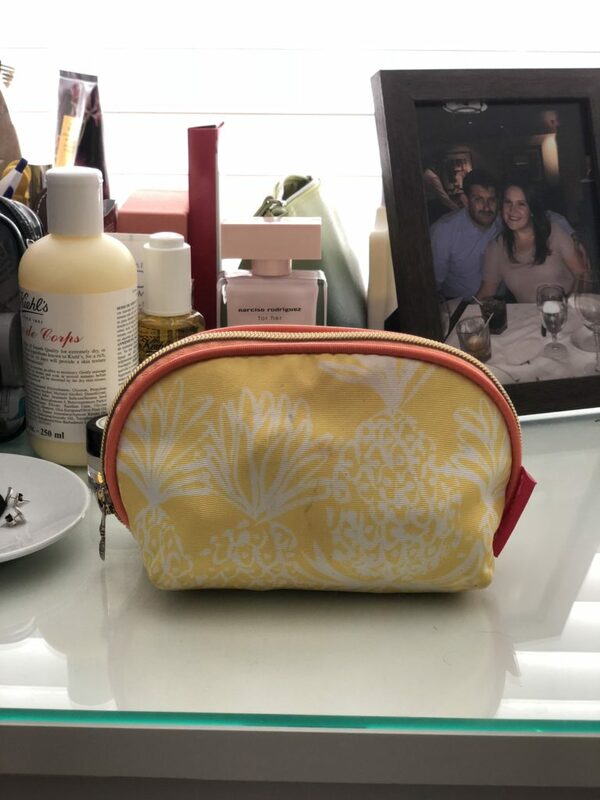 Val is my go-to gal when it comes to everything beauty but I’m here for a different purpose. WINE! 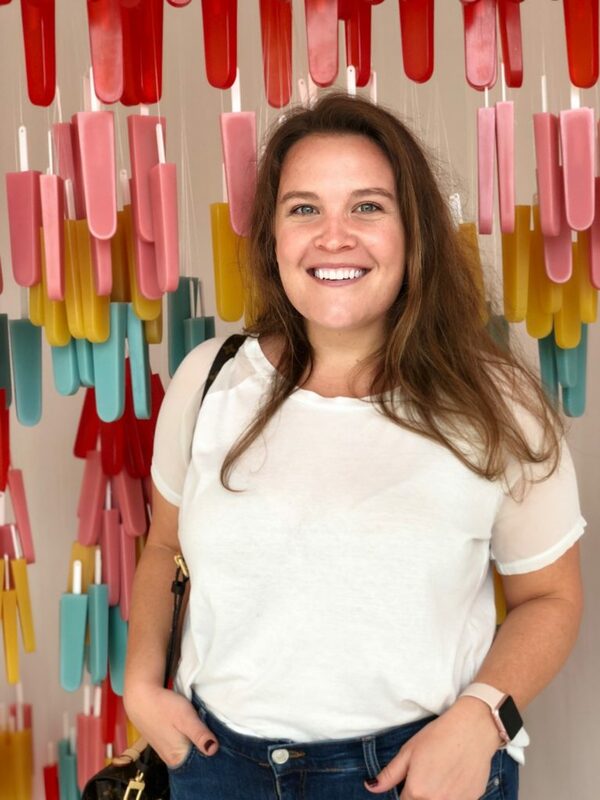 Over the last several years I have developed a love affair with all things wine and I am so happy to have the chance to share my knowledge with you! Val and I have had many nights lately trying different beauty products and sipping on some of our favorite wines. 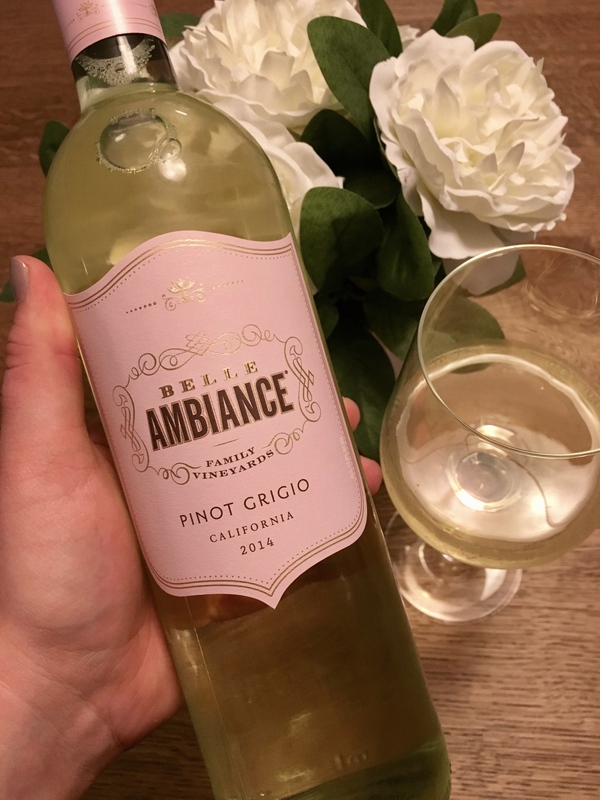 When you’re having a night in with the girls, I suggest trying “Belle Ambiance” 2014 Pinot Grigio! It’s light, crisp, and extremely refreshing! So far I have been only able to find it at Fresh Market but if you don’t have one near you just grab your fav Pinot! When you’re ready to snack, pita chips and hummus bring out the great flavors of this wine. 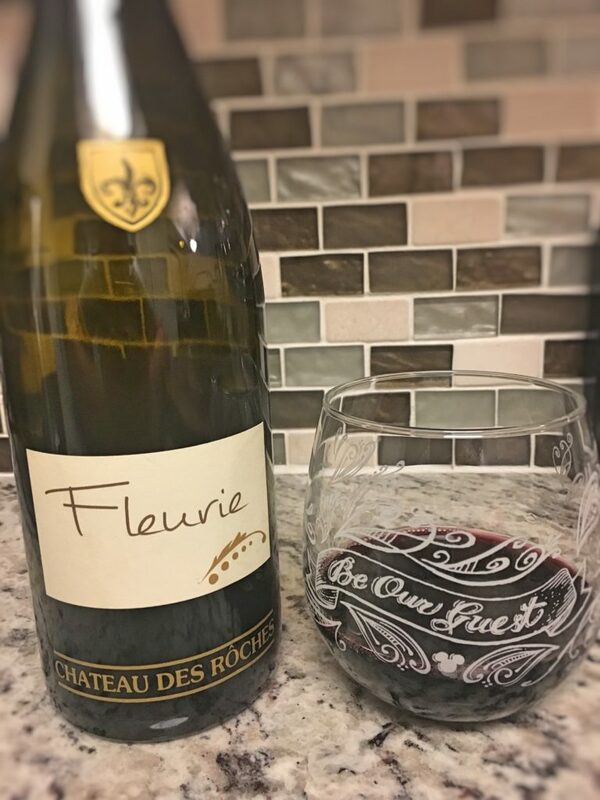 If you are a go-to red wine drinker (much like myself) I highly suggest “Fleurie” from Chateau des Roches. It’s light and doesn’t leave that normal heavy and robust red wine after taste. This beaut is found at Whole Foods where you can also grab a PHENOMENAL cheese platter of your liking to pair with it. A little tip is that the folks at whole foods are always willing to help you find the perfect cheese and charcuterie to pair perfectly with your wine of choice! To me, there is nothing better than staying at home with your best friend, a charcoal mask, and a glass of wine. 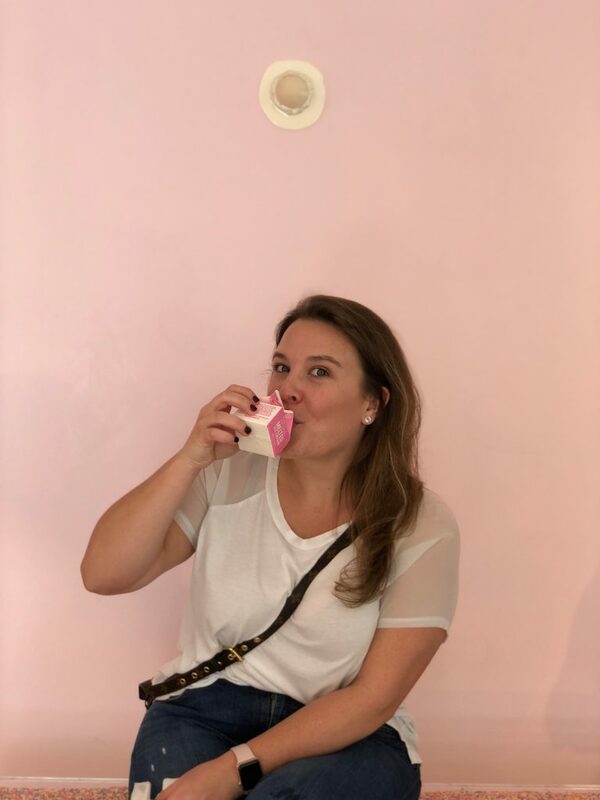 Every Wednesday I will be coming to you with a new blog, in which I will be pairing some of my favorite wines with food and/or activities! I hope you have enjoyed my introduction to Simply Gold and I look forward to wining down more with you soon! Hi everyone!! How are you all doing?! Can we even believe that it is 1. almost christmas and 2. that the new year is around the corner. I feel like this year has flown by and my brain hasn’t caught up with any of it. Thankfully I have been enjoying some time off from school and have been able to catch up on some much needed Netflix binges #goals. 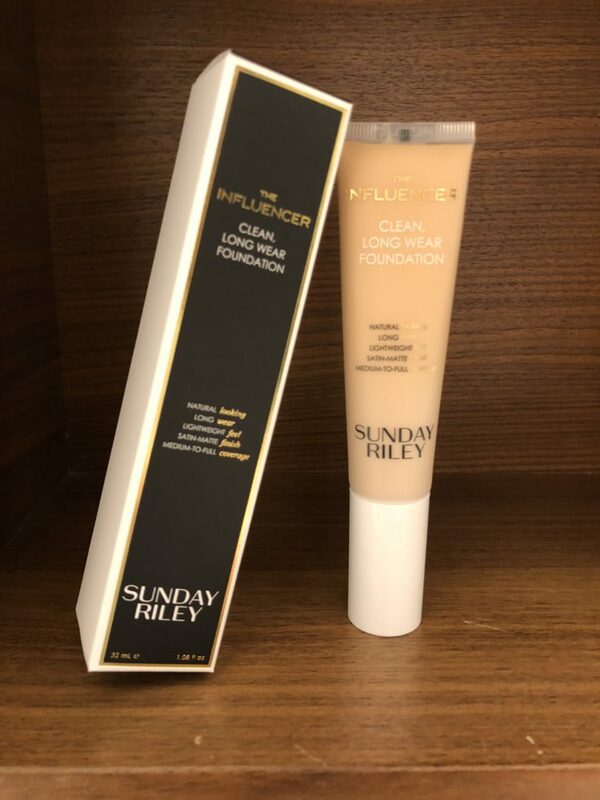 While I have been off I have been able to do some much needed testing of some beauty and skin care products and am very excited to share my newest discovery with you all. 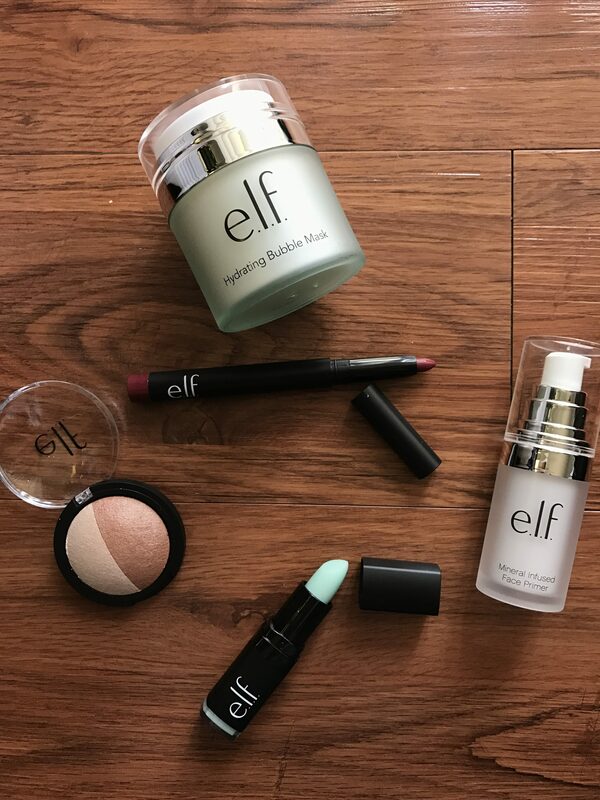 Everyone has heard of e.l.f. 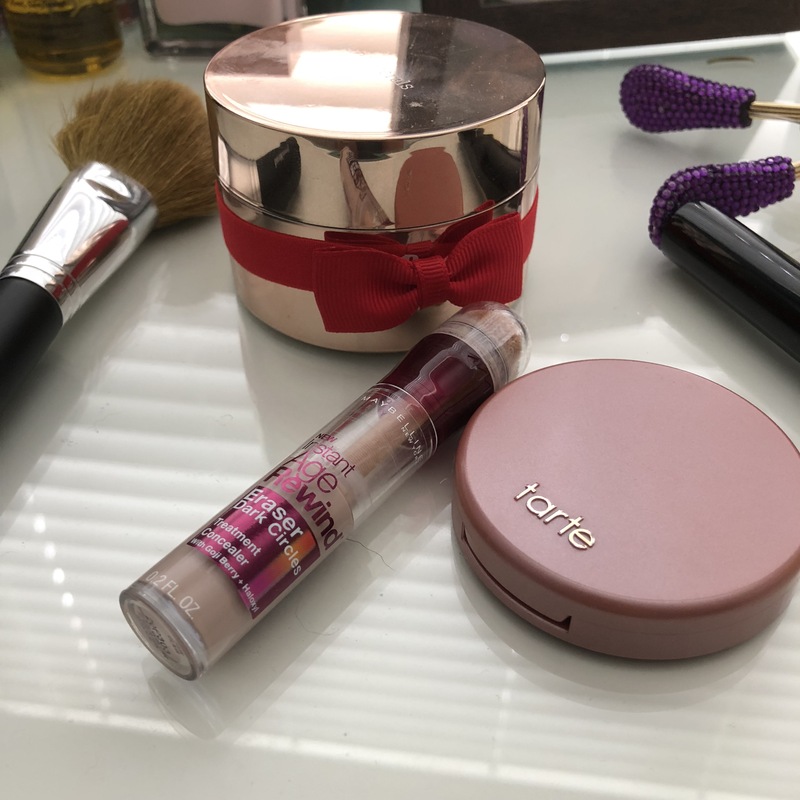 cosmetics and their amazing products that don’t break the bank. 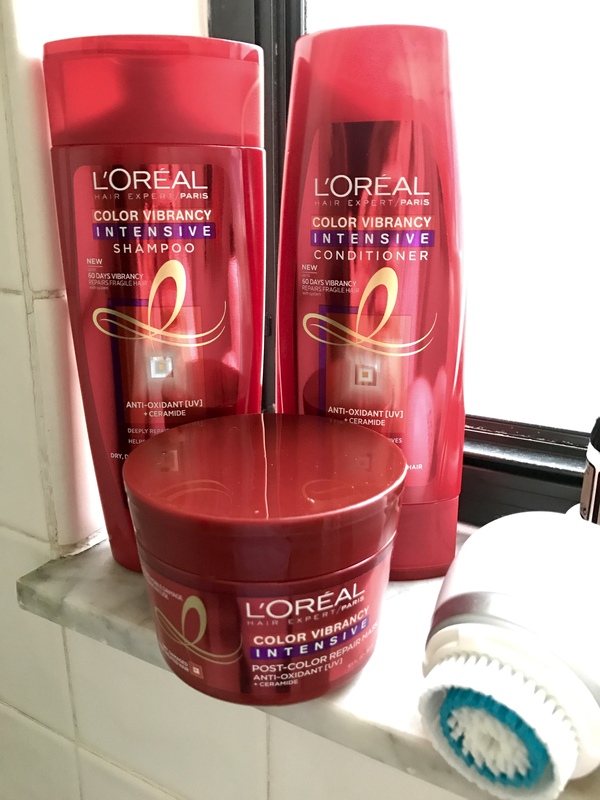 Recently I was given some products from Influenster to try and this is the winner winner chicken diner. This hydrating bubble mask is just about the most fun I have had with skincare in a while. After washing my skin I apply a think layer of this gel like mask to my skin and it actually bubbles up like foam! It kind of tickles as the bubble begin to pop taking dirt and gunk with it. Just leave it on for 5-10 minutes and wash off with arm water and your skin is left so buttery soft and delightful. 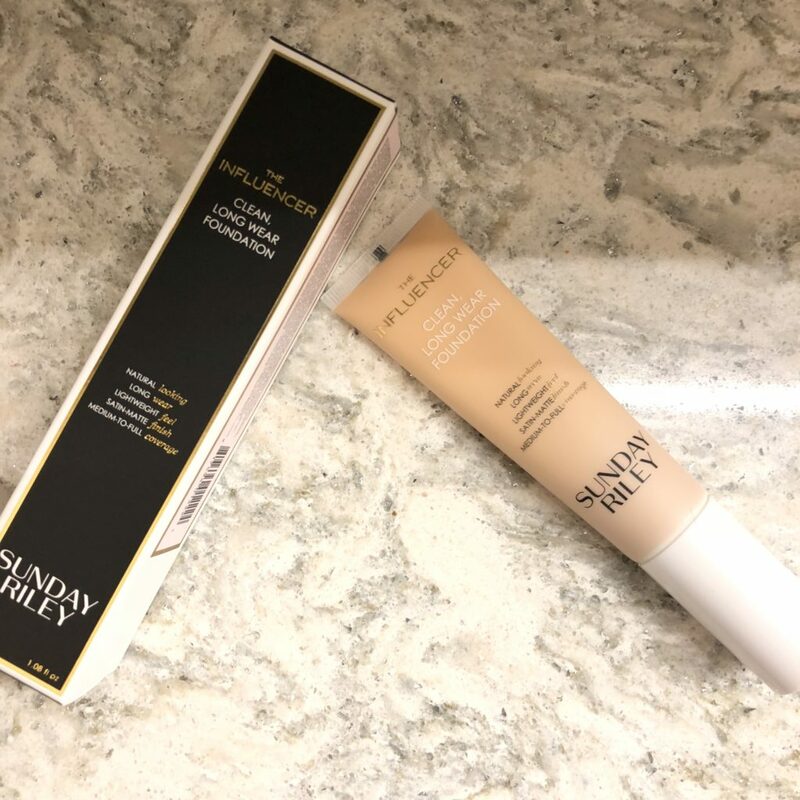 Even in the humid weather of Florida I don’t find this mask to be too over hydrating which it would make my skin oily but just enough for what it needs. I love face masks but I know some of them are so incredibly pricy that you don’t want to go to town using it I am the same way. This affordable option is just what my nursing school student budget is in need of. 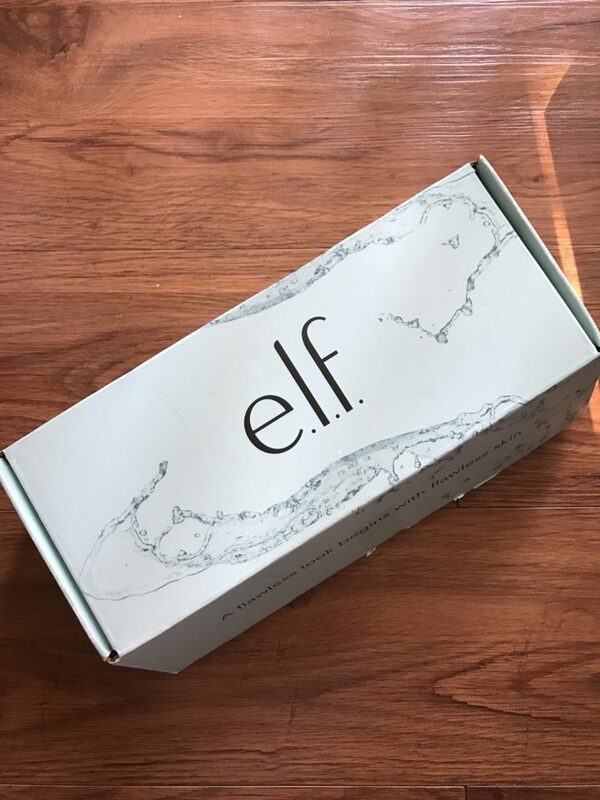 Hope you all enjoy this little review and let me know some of your favorite products from e.l.f. !